Entertainment according to foods being offered, such as Belly Dancing, Mariachi Band, County Band, Indian Dancing, Polynesian Dancing etc. "Adults Wedding Reunion Graduation Corporate"
"Need large space for many booths: Italian, French, Mexican U.S.A./BBQ Greek Middle- Eastern Asian, etc. " "Decorate each room and play music to match the country: Tablecloths, posters, curtains, signs, serving dishes, servers in costumes of the countries Posters, i.e. : France- Riviera or Paris street scene Italy- opera house Hawaii- beach "
Italian, Dj, Mariachi, Pop, Country, French, Greek, Middle-Eastern, Asian. Music according to foods that are being offered. "Finger Foods or snacks, different desserts from each country. Liquors /wines, different styles of drinks from corresponding country. " Send notes (love?) to other guests at party in a foreign language and they guess who sent them. Outdoor large area, park, back yard. 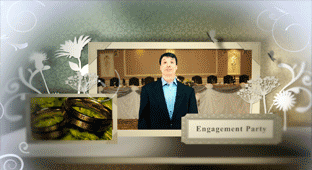 Give out videos taken at party or small globes or maps with guests signatures on them.